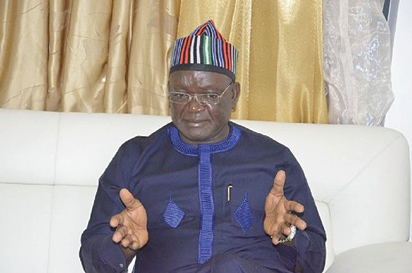 Their defection comes days after the governor, Samuel Ortom, also defected from the APC to the PDP. defection during a meeting with elected local government chairmen and councillors on Wednesday at the Government House Makurdi, hours after protesting youths barred him from travelling to Abuja to attend the APC reconciliation meeting. He said that after various consultations from his party, he was advised to look for another party, noting that his stay in the APC had expired. In the same vein, the 13 local government chairman have joined the wave of defections. The chairmen include Anthony Shawon of Guma local government, Justina Sorka of Buruku local government, Mwuese Ubebe of Konshisha local government, Blessing Unogwo of Ado Ado local government, Virginia Kpindi of Katsina-Ala local government and George Alli of Otukpo local government. Others include: Comfort Echeoda of Agatu local government, Francis Ayaga of Gwer West local government, Uaah Vitalis of Gwer East local government, Richard Nyajo of Logo local government, Ibellogo Tor of Tyokaa- Ukum local government, Adakole Abutu of Ohimini local government and Peter Onche of Obi local government. The defections also follow the impeachment of Mr Terkimbi Ikyange, the Speaker of the Benue House of Assembly.